She-Vaughan Edwards is a Chief Graphic Designer and Layout Editor for ‘The Science Survey’ and a Groups Section Reporter for ‘The Observatory.’ She finds the transfer of information and ideas that journalism encourages to be especially interesting, and she is most attracted to the various formats and designs that can change the way an article is perceived. Having been interested in photography from a young age, she finds journalistic photography especially appealing, as the power of a photo to tell an entire story is something that she enjoys experimenting with in different ways, both for journalistic benefit and personal enjoyment. She has multiple hobbies that revolve around music and writing, and especially loves playing story-driven video games as a stress reliever. She is fond of expressing herself through different forms of art, and genuinely takes pleasure in experiencing the art of others. 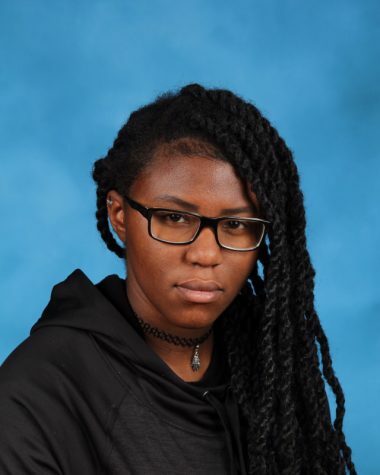 She plans to double major in both graphic design and computer science in college, but also takes an interest in engineering and game development.